The 'pantry' cupboard in the kitchen is fairly empty at the moment. 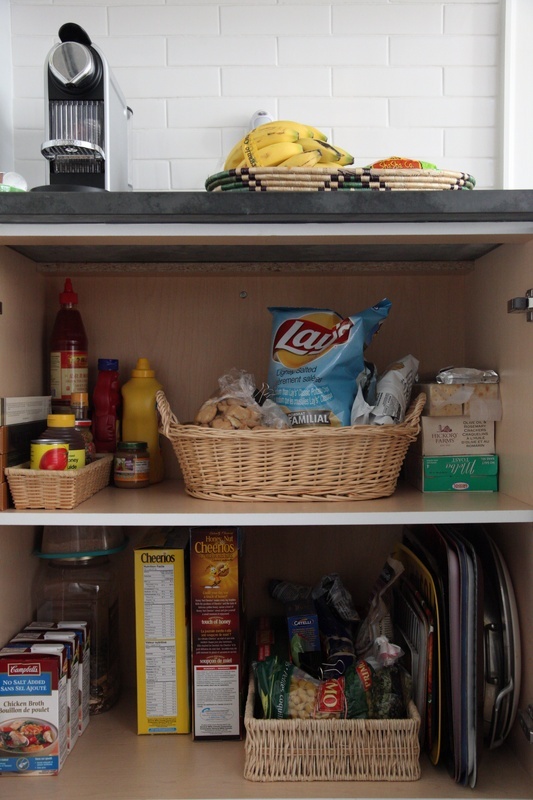 We eat less snacks, crackers, cookies and cereal these days...which frees up a TON of space! 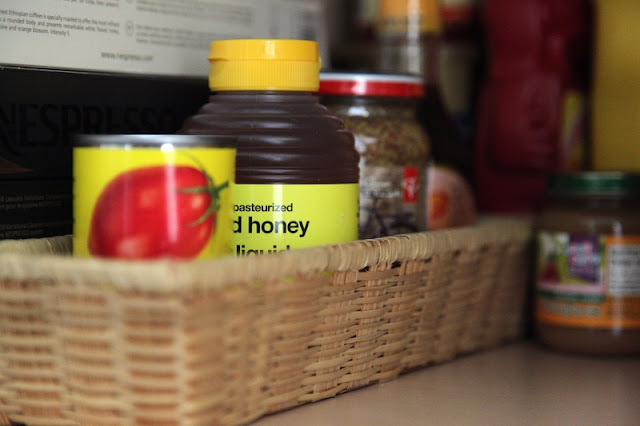 This morning, I wiped down the shelves and straightened the baskets. * There was a HUGE spill of something sticky under the top basket, with some dried chunks of smelly things stuck into it. Gross!! Anyways, this is also the home for my trays. 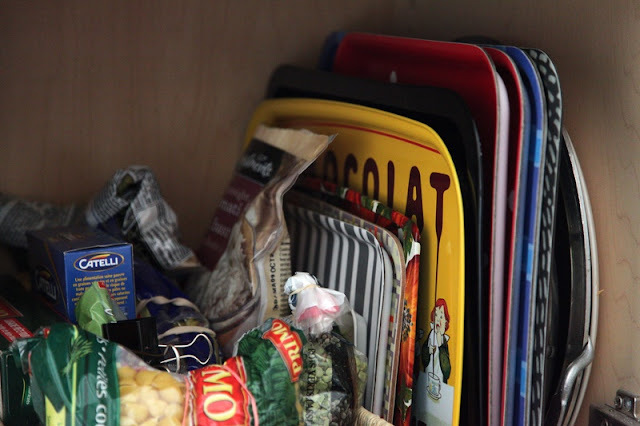 I pick up trays from goodwill, ikea (so hard not to buy one every time we go to the store!! ), and travels. I love trays.so.much. Hmm...come to think of it...having more space for trays is the perfect reward for giving up breakfast cereal!!! ps. My diet is not completely sugar-free these days. I am keeping a food journal, however, that makes me honest. I allow sugar in dinner (a lot of chinese recipes call for sugar); I also have a treat once and a while - very infrequently. I baked chocolate chip mint cookies (just substituted mint extract for vanilla extract in my choco chip recipe), and I only ate four of them over a whole weekend! This is progress folks! Is it possible that cutting out sugar entirely for weeks at a time, then slowly adding it back, is helping me with self control? Or maybe, I gave my sister in law the leftover cookies and got them out of the house before said self control broke down? Who knows? Now I need to cut down on the chips! and, just so we are all clear - the ice cream in the freezer is NOT for me...don't do it Shannon! I keep telling myself this! and it is working! so far so good!